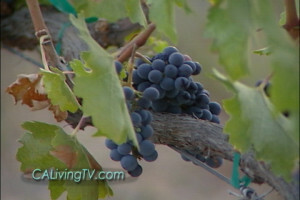 Welcome to California Wine Country with California Living® TV host Aprilanne Hurley. Love California food and wine? California Living ® host Aprilanne Hurley dishes the insider’s guide to an entire month of California food & wine in celebration of “California Wine Month” during September, 2015…and beyond. 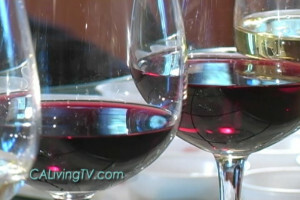 For a complete listing of activities by California Wine Region click here. You can also visit discovercaliforniawines.com/californiawinemonth to search events by date. Looking for some wine-spiration? Check out awesome California wine and food road trip ideas here. 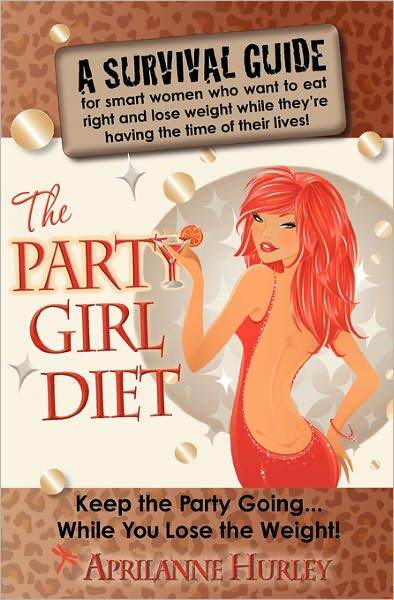 Discover how to “Keep the party going…and keep the weight off” with The Party Girl Diet™ created for “food & wine lover’s” – by California Living® TV series creator and Certified Sports Nutrition Specialist Aprilanne Hurley here. For complete California Wine Month news release with hyper-links click here. Sonoma Wine Country Weekend, Sept. 4-6 over Labor Day weekend has been named one of the “10 Best Wine & Food Events in the U.S.” As Sonoma County’s largest charity event, it brings together over 200 of Sonoma’s top winemakers and growers, along with a collection of the area’s best chefs. For three delicious, decadent days, guests can enjoy the Taste of Sonoma at MacMurray Ranch, as well as a wine auction, seminars, cooking demonstrations, vineyard tours and multiple winery parties. Guests pick grapes at the Harvest Party at Alexander Valley Vineyards in Healdsburg. Up in redwood country, Mendocino’s Annual Winesong Charity Auction & Tasting begins with the Anderson Valley Pinot Noir Celebration on Sept. 11. Mingle with winemakers and savor the offerings of 25 wineries paired with culinary delights, overlooking the ocean at Little River Inn. On Sept. 12, the Winesong Food & Wine Tasting offers guests the Mendocino Coast Botanical Gardens setting paired with regional vintages, 50 Mendocino County food purveyors and nine diverse music groups. That same day is the Winesong Charity Auction, featuring bidding on incredible trips, wine, art and food—benefitting local health services. Finish out the month at the 2015 Sonoma Valley Crush Sept. 25-27, where wine lovers can get their grape on. For three days, wineries will be offering a variety of harvest activities including grape sampling in the vineyards, crush pad tours, samples of just-pressed juice and grapes picked fresh off the vine. Guests can sip wine while it’s fermenting and chat with artisan winemakers about harvest. Napa Valley boasts many fantastic events and immersion experiences, from barn bashes and winemaker tours to harvest balls. An intense immersion experience is the Trefethen Harvest Boot Camp on Sept. 26, where guests can spend the morning “working” in the vineyard followed by an al fresco lunch under the canopy of an ancient walnut tree. The Madera Vintners Association’s California Wine Month Celebration on Sept. 18 will offer wine tasting from local wineries, food by a variety of local restaurants and live music. The Association will be announcing special awards for wine industry professionals and guests will have the opportunity in the People’s Choice Award to vote for their favorite wine of the evening. 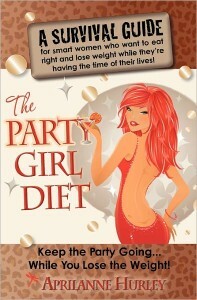 Proceeds benefit the Community Food Bank. Lodi vintners and growers will host SIP SAVOR LODI— a three-day harvest celebration held Sept. 25-27, showcasing the region’s agricultural bounty through its boutique wineries, varietal wines and local farm-to-fork restaurants. Festivities kick off on Sept. 25 with an alfresco Harvest Dinner in historic downtown Lodi, with some of the region’s finest wines. Guests will return to downtown Lodi for a Grand Tasting on Sept. 26, highlighting Lodi’s wines alongside savory bites from the region’s restaurants and artisan vendors. The weekend culminates with Cellar Tours on Sept. 27 where guests can visit vintners in their cellars. A great kickoff event on Labor Day weekend is Livermore Valley’s 34th Annual Harvest Wine Celebration on Sept. 6, where you can visit more than 40 Livermore Valley wineries sharing their finest wines and take in local music, art and food. In the Santa Cruz Mountains, the 33rd Annual Capitola Art and Wine Festival brings together 23 wineries, local restaurants, 160 artists, crafts and music for a fun weekend Sept. 12- 13 near the beach in Capitola. A Kid’s Art Area offers ongoing craft projects while local dance, music and performing arts groups and street performers perform all weekend. Tasting and painting in the vineyards are activities at Refugio Ranch and Koehler Winery during Santa Ynez Valley Wine Month. Photo by Gypsy Studios. Santa Barbara’s Santa Ynez Valley Wine Month Sept. 1-30 features various wineries offering fun events, classes, winemaker dinners, tastings and special wine and hotel packages in the towns of Buellton, Ballard, Los Alamos, Los Olivos, Santa Ynez and Solvang. Another delicious bet is Taste of the Town Santa Barbara on Sept. 13, with tastings from 80 of the finest local restaurants and Central Coast wineries at the beautiful Riviera Park Gardens. throughout San Luis Obispo County. Enjoy celebrity chefs, winemaker seminars, more than 200 regional wine tastings, adventure tours and attend a new opening night event, Strings at Sunset at the Vina Robles Amphitheatre. In South Lake Tahoe, Sample the Sierra on Sept. 6 is the area’s only farm-to-fork festival, giving guests the chance to taste the creations of Sierra Nevada talent—from food, wine and spirits to fresh produce and art. Each dish is prepared with local ingredients and then paired with a complimentary drink to create a unique local experience. The 30th Annual Lake Tahoe Autumn Food & Wine Festival on Sept. 11-13 offers wine and food pairings, celebrity chefs, wine seminars, cooking demos, Farm-to-Tahoe Dinner, the Blazing Pans Mountain Chef Cook-Off, kids cook-off, a “winemaker for a day” immersion class, hikes, gourmet marketplace, culinary competition and grand tasting, winemaker dinners and live entertainment. At The Los Angeles Times’ The Taste, wine and food are the stars Sept. 4-6. Celebrate Southern California’s vibrant culinary scene at Paramount’s iconic backlot, presenting five events with leading chefs and restaurants in L.A. and unlimited tastings. Guests can learn more about wine and food during special seminars and live demos. Enjoy California wines at CRUSH: Temecula Valley Wine & Culinary Showcase, a Sept. 19 harvest festival featuring 100-plus wines from over 30 Temecula Valley wineries, paired with food from local restaurants and farms and live music. Wine lovers can purchase a SIP, Temecula Style passport, offering savings at four out of 30-plus wineries anytime during the month of September. Visit discovercaliforniawines.com for information on wine regions, wines and winery amenities to plan a trip to California wine country. Established in 1934, Wine Institute is the association of nearly 1,000 California wineries and wine-related businesses with the mission is to initiate and advocate state, federal and international public policy to enhance the environment for the responsible production, consumption and enjoyment of wine. For more information visit: wineinstitute.org. #californialiving, #FoodandWine, california food, California food and wine, California Insider's guide, California Living, California Living TV, california wine, california wine events, California Wine Month, sonoma wine country weekend. Bookmark.